What did Linnaeus look like? 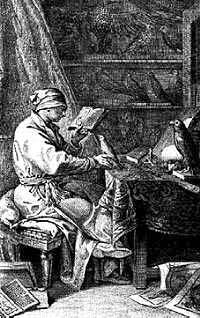 An ornithologist examining a stuffed bird. It is sometimes claimed that Linnaeus and the Linnaean tradition were one-sidely interested in species description and systematization. Linnaeus himself summarized his method in 38 brief rules for the study of an object of nature. These rules, which constitute a research method, show that he was interested in much more. If we wish to describe a natural object, let’s say a bird, Linnaeus says that it is extremely important to give a specific family and species name. Synonyms must also be given, that is, if the same bird has been given another name by other authors. Popular names and the etymology of the family name should also be indicated. Then the class and order the bird belongs to should be given, as well as any family it was previously classified under. The species description must be as complete as possible: all of the bird’s external parts must be described. The most important characteristics should be indicated, and the bird should be compared with other species in the same family. Variation within the species should be described as well. Added to this, information should be supplied regarding time for reproduction, growth, mating, habitat, longitude and latitude, climate, soil, diet, habits, and disposition. The anatomy of the bird should also be described, and a microscope should be used in the examination of the body. Next, some indication should be given of whether the bird has any economic or practical utility. 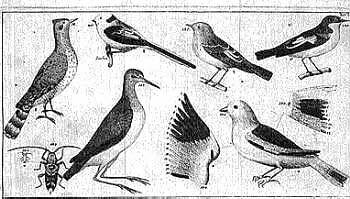 If it is not a new species, the name of the first person to describe the bird must be mentioned. Historical traditions involving the bird should be recounted and illustrative poetic depictions may be quoted. Any fallacious or superstitious notions must be rejected, however. Lönnberg, Einar & Aurivillius, Christopher, ”Carl von Linné såsom zoolog” i Carl von Linnés betydelse såsom naturforskare och läkare (Uppsala, 1907).